After several hot days heralding the oncoming march of Summer, Saturday was surprisingly cool. We woke to a fine drizzly rain, the kind that's more droplets of water floating about the place instead of falling. Swathes of mist were also settled in amongst the trees and it was a day to grab that favourite jumper one more time to farewell winter. Sitting on my verandah, reading the paper, sipping coffee, breathing in that fresh rainy air – just a perfect way to start a Saturday morning off. 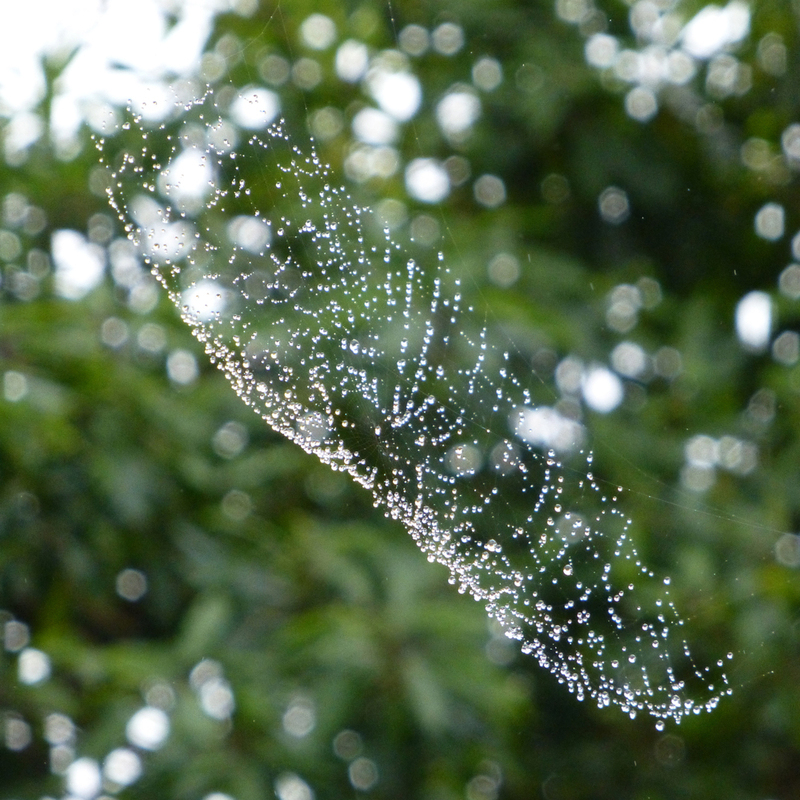 A dew adorned spiders web spotted in the garden this morning.